The party of another Netanyahu rival, Naftali Bennett, has already announced that if he is not appointed defense minister it will also quit the coalition — a move that would trigger early elections. Given Bennett’s sometimes rocky relationship with Netanyahu, it is far from certain he will be given the powerful defense post. Yair Lapid, head of the opposition Yesh Atid Party, said “the countdown has begun” to the end of Netanyahu’s term in office. 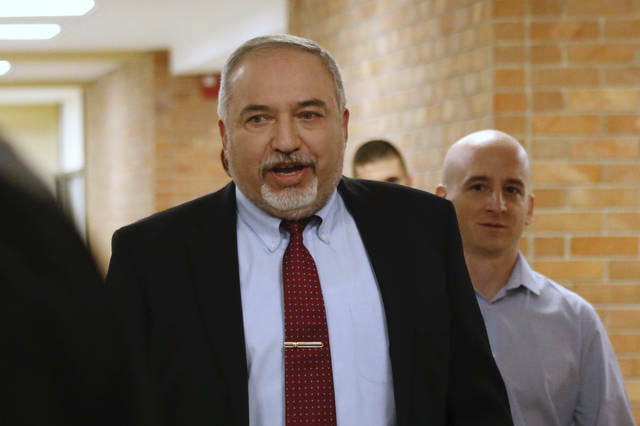 Lieberman’s resignation will take effect in 48 hours and Netanyahu will take over the defense portfolio on an interim basis. Netanyahu currently also serves as Israel’s foreign minister. Netanyahu had come under heavy criticism for agreeing to the cease-fire, especially from his own political base and in rocket-battered towns in southern Israel that are typically strongholds of his ruling Likud Party. Netanyahu presented the decision to step back from a full-blown conflict as a unified one made by his Security Cabinet and based on the military’s recommendations. 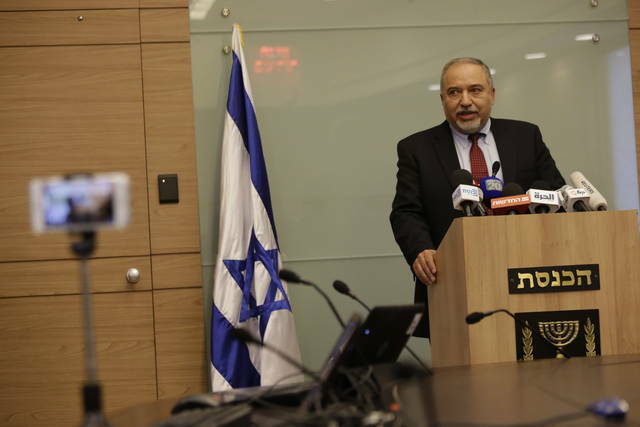 But Lieberman and Bennett later expressed reservations, saying they favored a stronger response. Netanyahu defended his actions at a memorial ceremony in the Negev desert for Israel’s first prime minister, David Ben-Gurion. “In times like these, leadership is not doing the easy thing. Leadership is doing the right thing, even if it is hard. Leadership is sometime facing criticism,” he added. 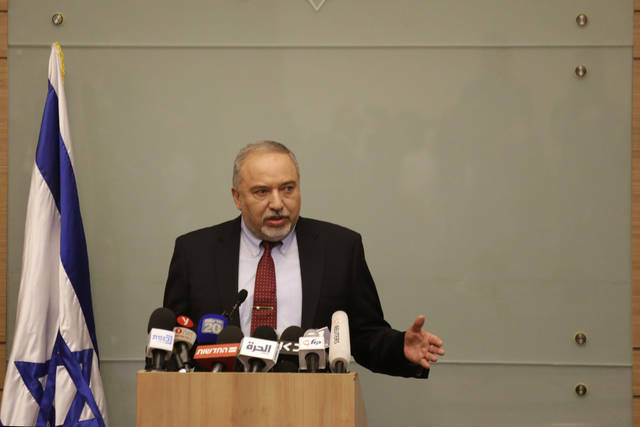 Lieberman said the cease-fire deal, coupled with a decision to allow Qatar to deliver $15 million in aid to Gaza last week, were too much for him to bear. The Israeli military said it opened fire under standard procedure after the man ventured too close to the border. Hamas had no immediate reaction. During this week’s fighting, Palestinian militants fired 460 rockets and mortars into Israel in a 24-hour period, while the Israeli military carried out airstrikes on 160 Gaza targets. Seven Palestinians, including five militants, were killed. In Israel, one person was killed in a rocket strike and three were critically wounded. The point being, even when people are skeptical or distant from religious organizations, many remain personally spiritual. Millennials, especially, are gathering in athletic groups and activist organizations – not congregations – to build community and support personal growth. And they too are being joined by chaplains who accompany them through life in ways traditional clergy have done in the past.